The survey findings bode well for the future of knowledge management, and for the potential uptake of the new ISO 30401:2018 KM standard. At the time, we published an article from Ian Fry which provided advice to organisations on how to address these requirements, and I published a complementary article listing some relevant RealKM Magazine resources. I’ve since updated that article to reflect the potential links between ISO 9001:2015 and ISO 30401:2018. As a couple of years have now passed since the publication of ISO 9001:2015, it’s timely to start looking at the impact that this revised standard has had on knowledge management. 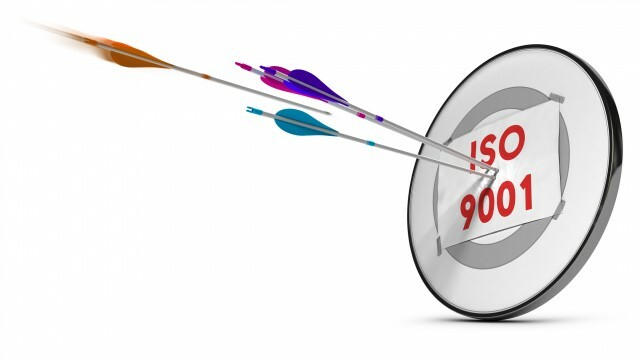 A recent study1 addresses this, presenting the findings of a quantitative survey of ISO 9001:2015-certified organizations in Portugal, Romania, Switzerland, and Turkey that was carried out in April 2018. The organizations had been certified by certification body partners of the International Quality Network (IQNet). The surveyed organizations reported significant benefits from ISO 9001:2015 implementation … The respondents considered the adoption of risk-based thinking the major difficulty to be overcome, but simultaneously as the major benefit to be realized. The alignment with other management systems, the increased top management commitment, the identification of risks and opportunities and the knowledge management were also reported as significant benefits … To sum up, the new/reinforced ISO 9001:2015 approach reported as more beneficial was the “Adoption of risk-based thinking” (75.7%), followed by “Organizational knowledge” (39.8%), “Organizational context determination” (37.6%) and “Identification of the relevant interested parties and their relevant requirements” (36.5%). These findings bode well for the future of knowledge management, and for the potential uptake of the new ISO 30401:2018 KM standard. 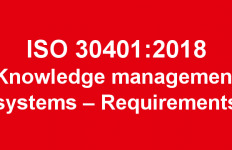 As well as the support for knowledge management, an important aspect of the benefits of ISO 9001:2015 identified in the survey is “alignment with other management systems.” Both ISO 9001:2015 and ISO 30401:2018 are ISO management systems standards, and so use the same high level structure. As I’ve previously discussed, this means that organisations can implement both ISO 9001:2015 and ISO 30401:2018 together, with ISO 30401:2018 providing a way for organisations to address the organisational knowledge requirements of ISO 9001:2015. The draft of ISO 30401:2018 had sparked considerable concern in the KM community, with inadequate stakeholder participation a contributing factor. However, as revealed in part 1 and part 2 of Stephen Bounds’ evaluation of ISO 30401:2018, the ISO committee is to be commended for the extent to which they have addressed concerns in regard to the shortcomings of the draft in the final published version of ISO 30401:2018. It’s now time to look at how ISO 30401:2018 is put into practice – look for Stephen Bounds’ advice in this regard in the forthcoming part 3 of his evaluation.